It's been a week since the last post. I told myself I'd get more content for this blog but I still can't get as many posts up as planned. Moreover I've just acquired a job as a Digital Artist in an Australian based publications company last month. 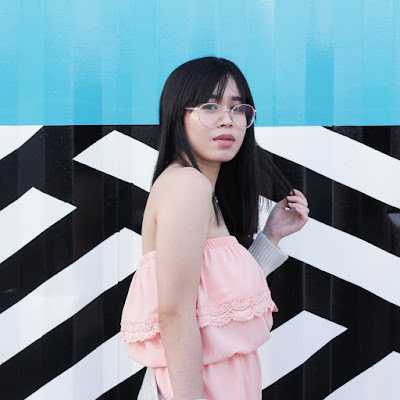 Even though I'm employed part-time and work from home it still takes up my time for blogging and everything else I do. Girl needs money, lol. That said, I'll still try my very best to keep posts up even if the post might be a little late like this Mini Althea Haul bought last December. You can see that the packaging is Christmas themed thus I can't fake that I just got it this month. Well, I could actually by not taking a photo of the box. 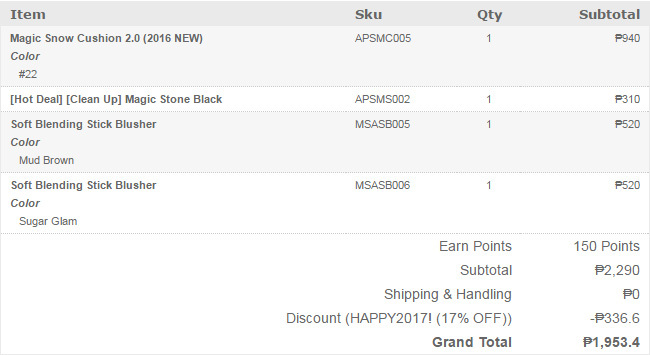 Hehe, These were ordered December 30, 2016 and I think the package came in 2 weeks later, a bit delayed compared to my previous package probably because of the busy Christmas season. 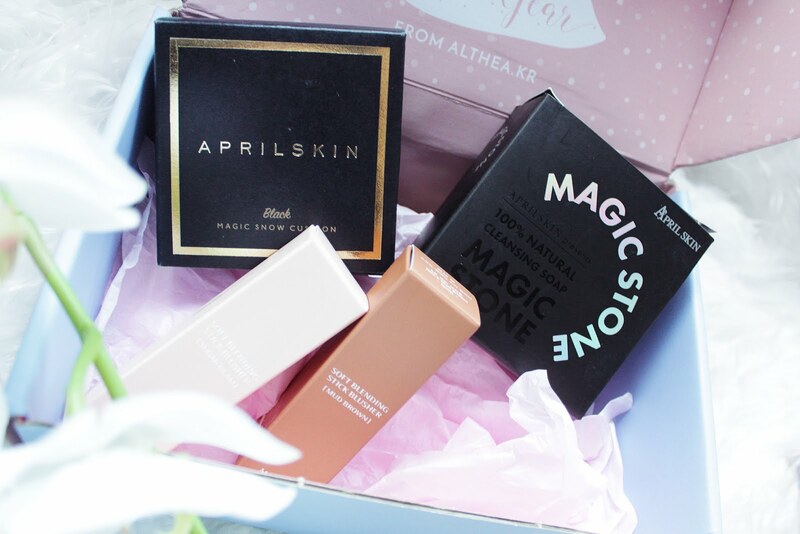 Initially, I just wanted to purchase all April Skin products. The brand had been the talk of the town. I'm curious to see how good their products really are. 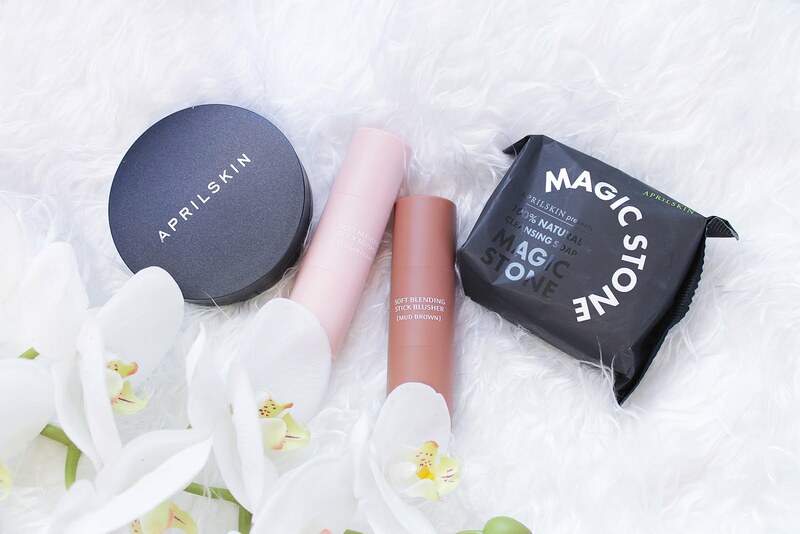 Last December I saw an advertisement of April Skin (EN) where they had a discounted Christmas gift package that comes with the cushion, magic stone, tattoo gel and their 4D stick. 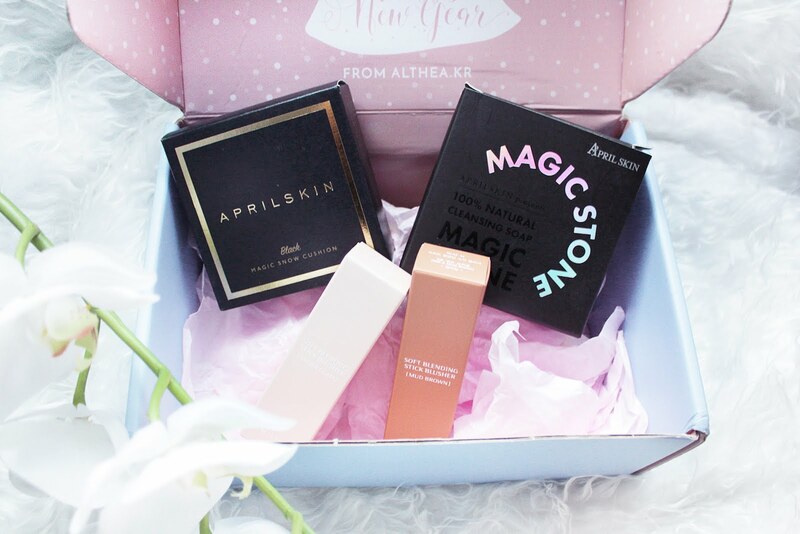 It was a bit pricey though so I opt to shop at Althea where the products were a bit cheaper too compared to the ones sold at April Skin's official english site but they don't sell the gels & highlight/contour sticks. Since I needed a highlighter and contouring product I decided to try out these blending brushers from Missha. 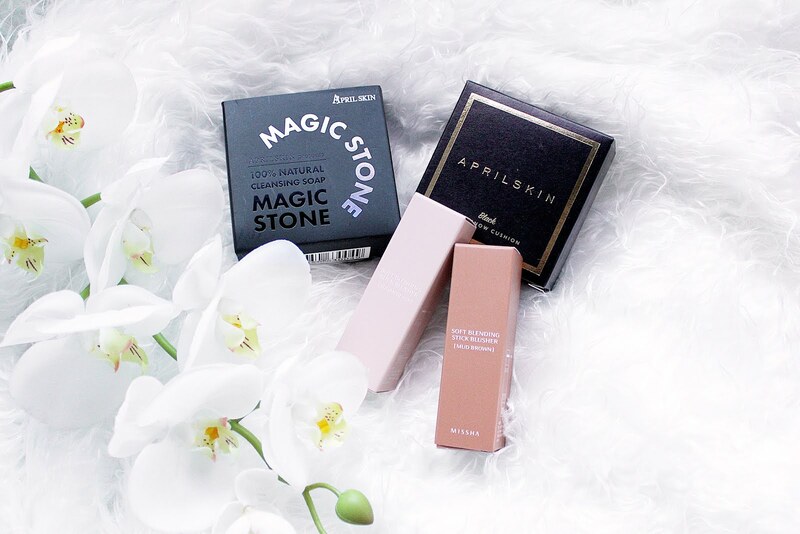 I've started using April Skin's Magic Stone & Missha's Blending Sticks already. I'll post a review and share my thoughts on the products soon. I'll try the cushion once I've used up the Naturactor foundation I'm currently using. Hope to get positive results.